I hadn’t made homemade veggies burgers in a really long time – probably a couple years – and decided it was about time again! 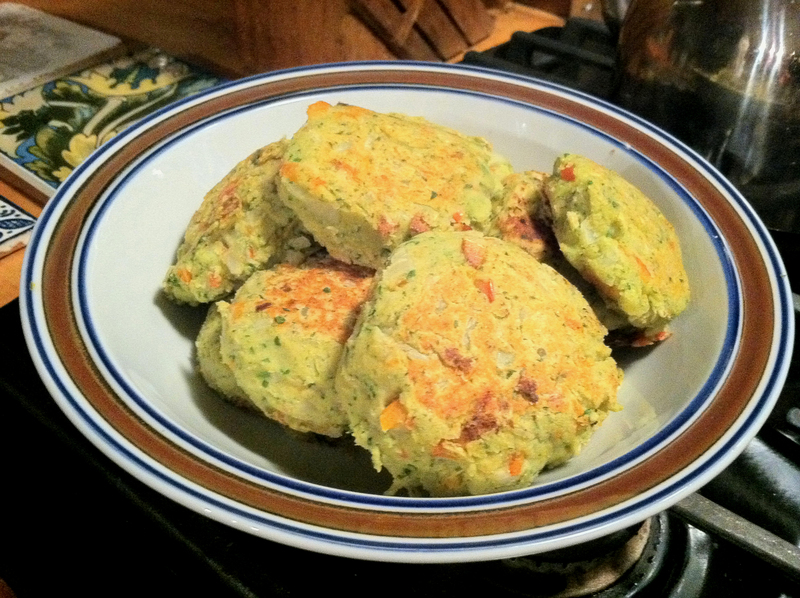 I found this recipe from Moosewood on the blog Healthy Laps. It’s about healthy eating and running, and actually is by a woman in Boston. Stumbled upon it after googling Moosewood veggie burgers. 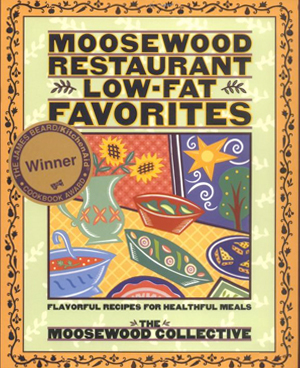 Moosewood is a restaurant in Ithaca, New York. They’ve been in business since 1973, serving whole, nutritious foods, and have put out 12 cookbooks throughout the years. I’ve never been to the restaurant, but would love to try it one day! These burgers can take a little bit of time to get together, but they’re great to have for lunch throughout the week. You could also freeze them for later. Bonus – they’re gluten-free! The first time I made these, I used one can of cannelinni beans and one of chickpeas, since that’s what I had. It came out fine, and the next time I used all cannelinni. Not a huge difference between the two for this recipe, so feel free to use whichever is easier for you or that you like better. 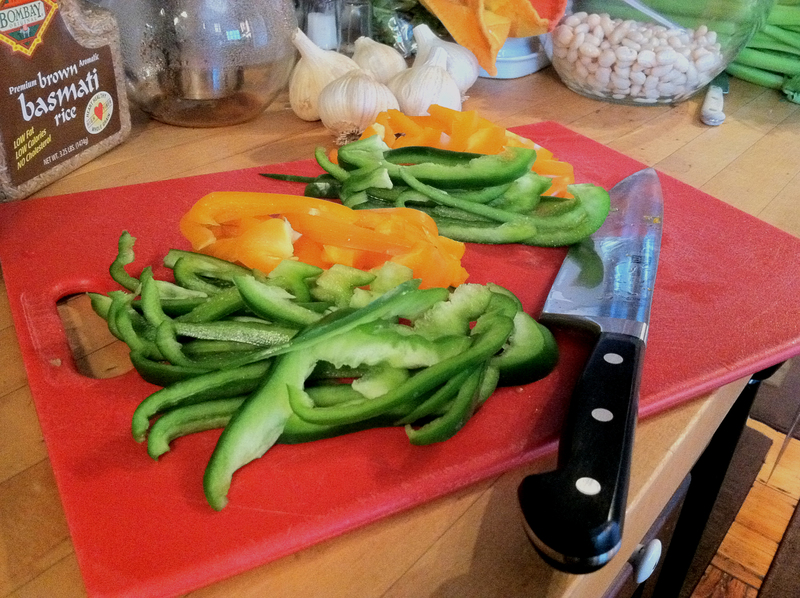 I used an orange and green pepper. You basically just need one pepper, so I chopped up a combination of the two, and sliced the leftover pepper for a salad. Warm the olive oil (or coconut oil if you prefer) over medium-low heat. Once warm, add the onions, garlic, and salt, and cook 5-10 minutes until the onions are tender. Be careful not to burn the garlic. Add the pepper and cumin, and cook for another 5 minutes, or until the pepper softens. While that cooks, mash the beans or chickpeas in a mixing bowl. You can use a potato masher, or a food processor if you’d like. However, it’s pretty easy to mash them by hand. Add the parsley, lemon, and vegetables and combine well. 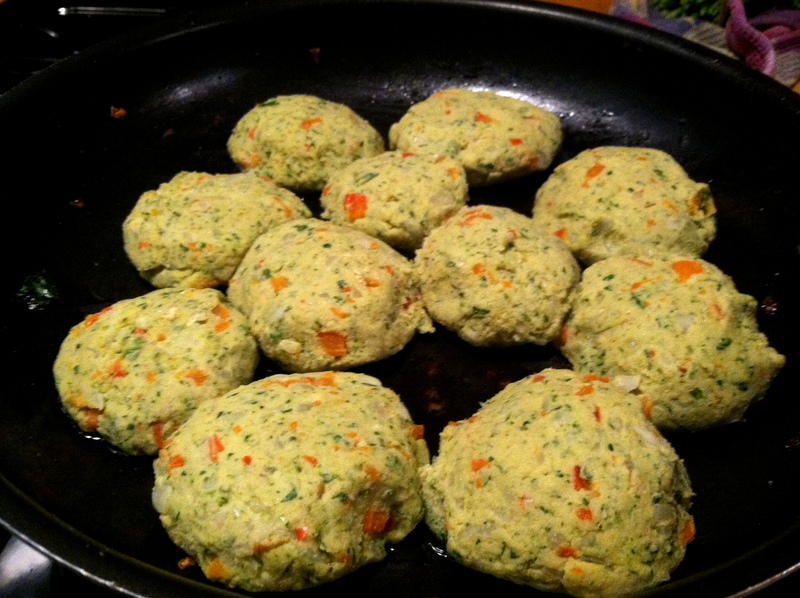 Then, slowly add the chickpea flour in batches until you can form nice little patties that aren’t too sticky. The original recipe calls for rice instead of chickpea flour, which you could do with chilled, leftover rice if you have any. (It’d work much better to use cold rice rather than rice you just cooked.) It would still be gluten-free if you decide to use brown rice. Form about 18 little patties, depending on the desired size. Once you have all the small patties formed, start cooking as many as you can fit in the same pan used earlier, for about 5 minutes on each side, or until golden brown. You could also use a griddle if you have one. Serve with any toppings you’d like. 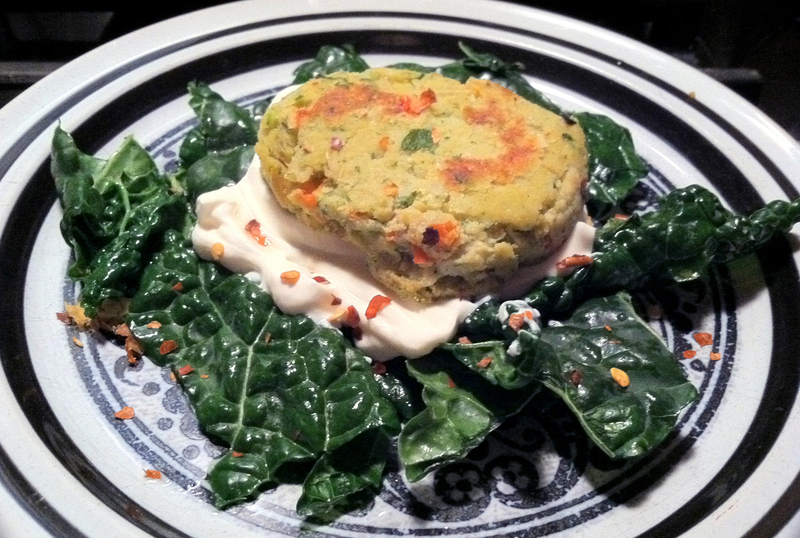 I had mine for dinner with sauteed kale, red pepper flakes, and plain Greek yogurt. You could also make a wrap with tahini, lemon juice, cucumber and greens; a salad with avocado and/or tabouli; a wrap with pickles, onions, tahini, greens, etc. As long as you don’t mind a little mess, they’re really good in wraps! For lunch, I brought them to work and heated two up with kale and a little bit of chicken broth.